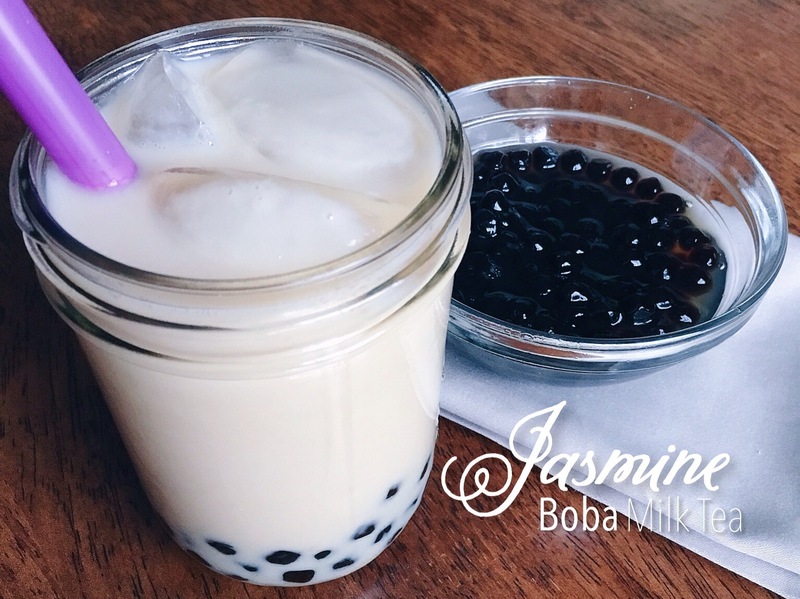 Here is a recipe for the Jasmine Boba Milk Tea I made this week to replicate the Boba teas I had in Fresno during our Christmas vacation. 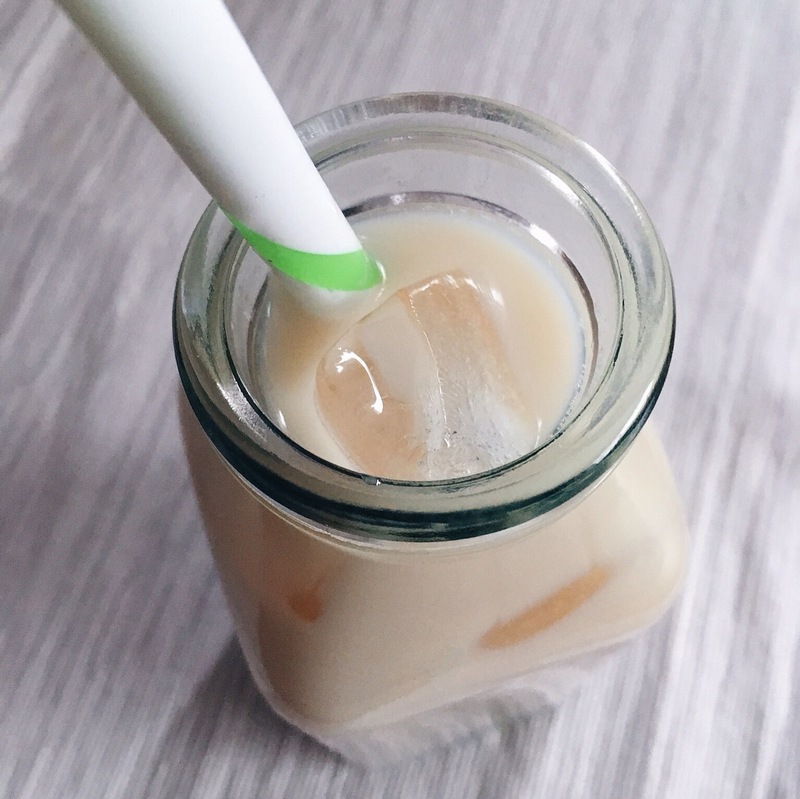 If you like Boba Milk tea, this is a simple and flavorful recipe to make in the comforts of your home that is near identical to the Boba tea shop version. When I was in Fresno over the Christmas holiday my great friend Sammy and I went on a few Boba tea dates, and I also had some with my mom and grandma at a Vietnamese restaurant. I definitely got in my boba drink fix while I was there. Now we’re back in Moscow and there aren’t any Boba tea shops around and I was feeling deprived. 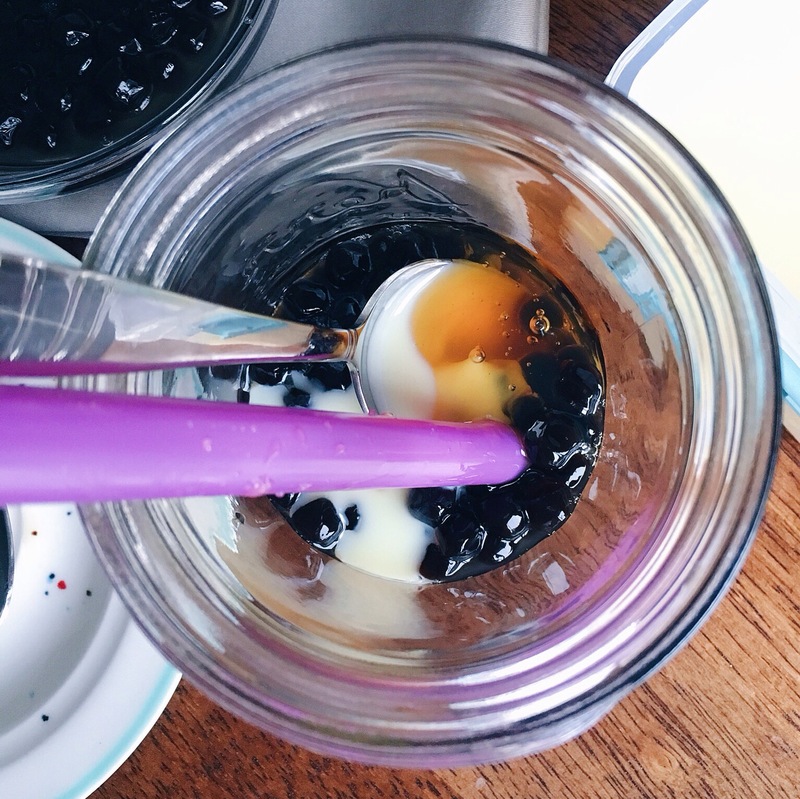 It seemed like it could be simple enough to make my own recipe once I found the Boba tapioca pearls to use. 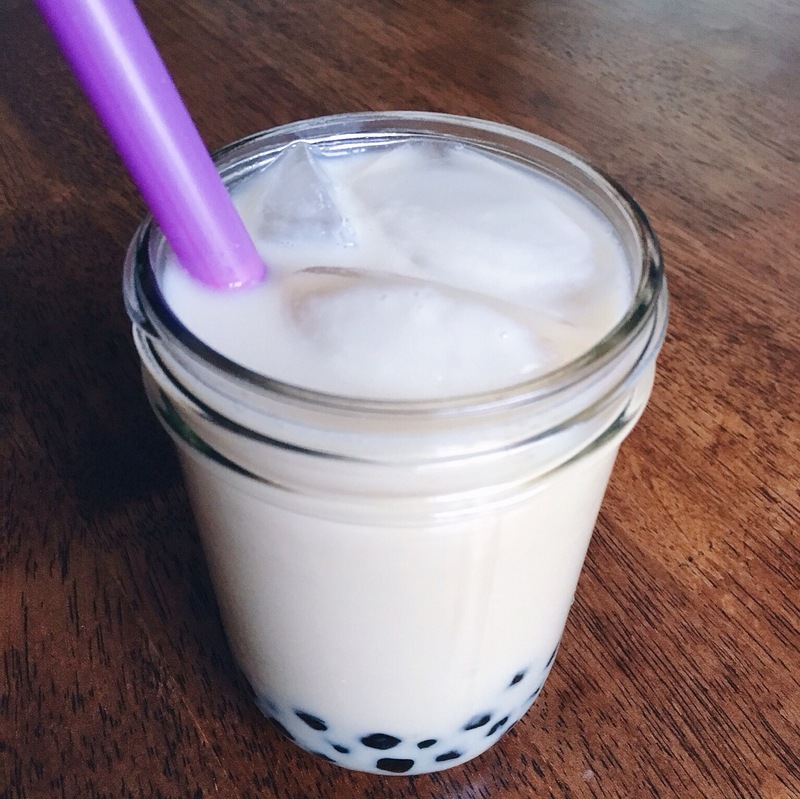 I drink tea almost every night so I knew I could whip up a batch of milk tea easily. I love iced Jasmine tea with loads of honey, and the thought of adding cream and boba sounded like the perfect combination. I was worried I wouldn’t be able to find the tapioca pearls here but I got lucky and found them at the one tiny Asian market here in town. 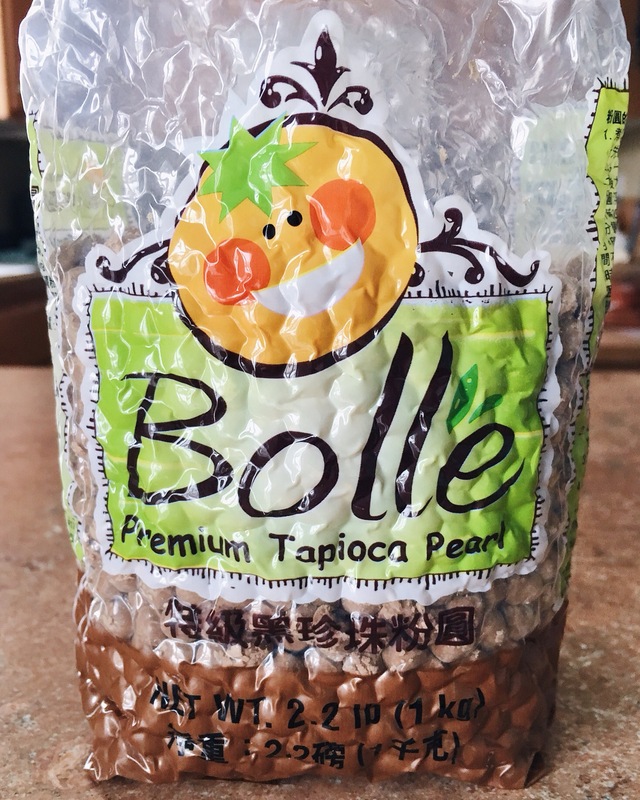 Below is a picture of the brand I purchased, “Bolle Premium Tapioca Pearl”. 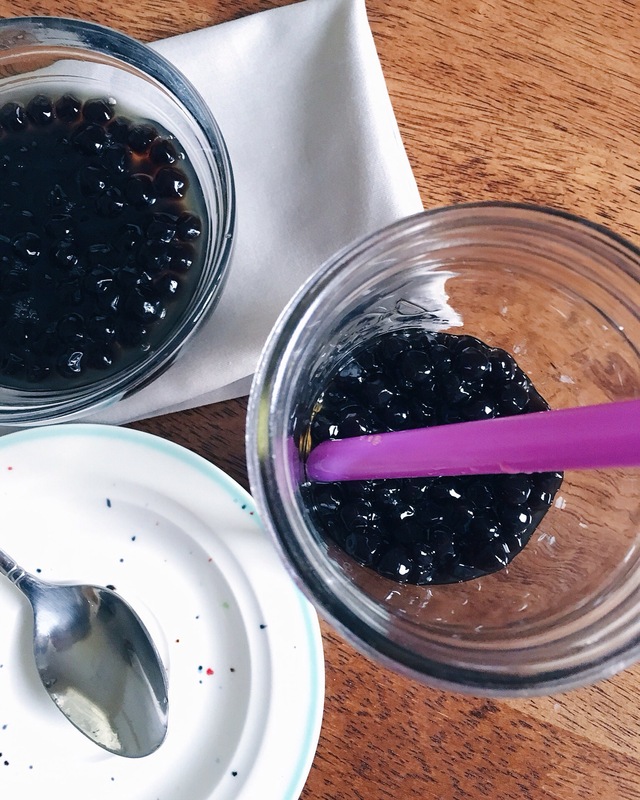 The tapioca pearls turned out exactly as I was expecting for flavor, gumminess and chewiness. 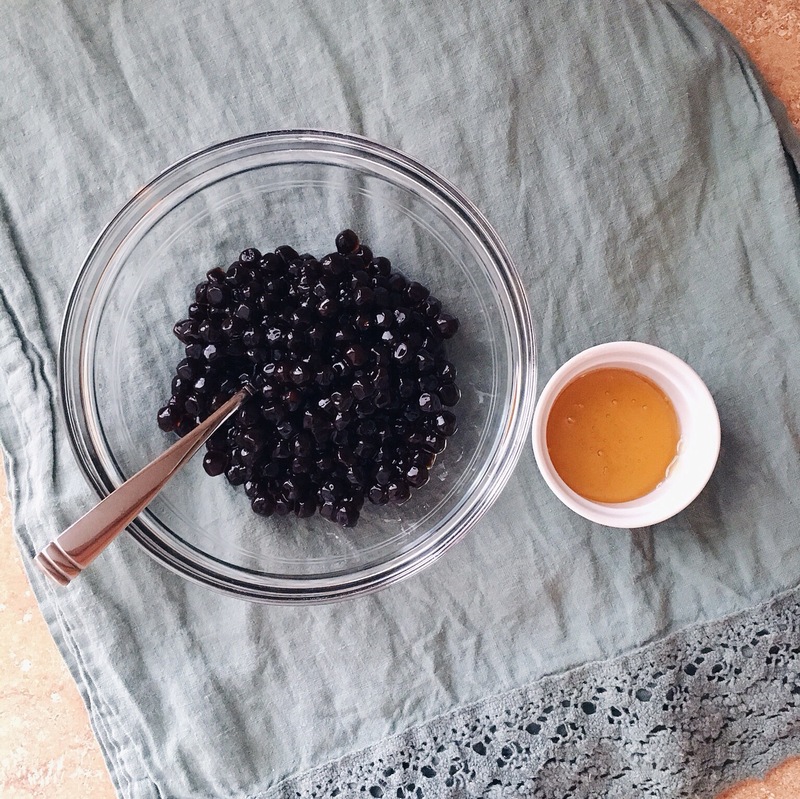 I did some research and found that there are a few different kinds of tapioca pearls when it comes to cook time. These took about 45 minutes to cook, but there are some quick cook-time tapioca pearls that only take 5-10 minutes to cook. I will definitely be ordering those once I finish this bag. The pearls were delicate little balls in their uncooked state, and crumbled easily, so be sure you’re gentle with them before cooking. 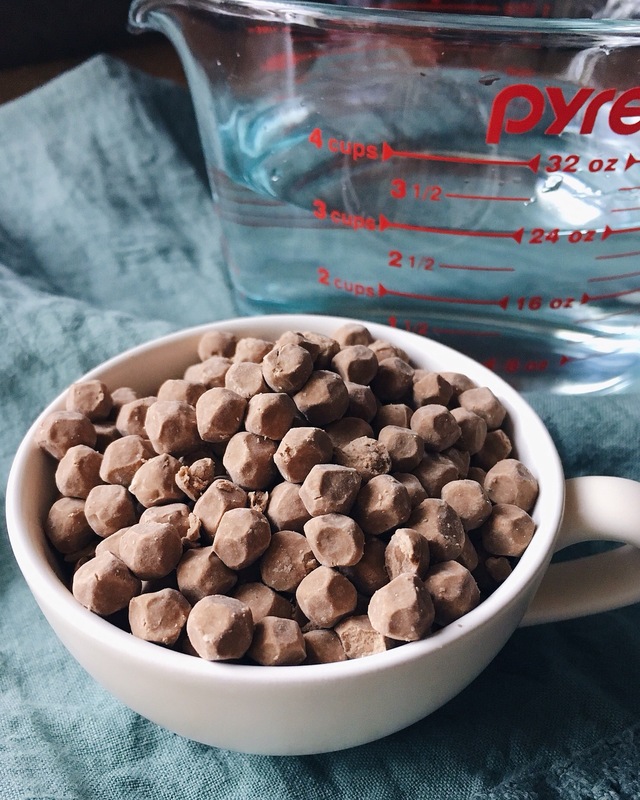 I cooked them per the package directions which included boiling water, adding the pearls and stirring until they rose to the top after about a minute. Lowering the heat to medium-low for 20 minutes while stirring occasionally, and then turning the heat off and covering it for an additional 25 minutes before they were done. Then they get strained and rinsed under cold water and placed in a bowl where they’re mixed with honey or a simple syrup and set aside for 15 minutes to soak up the sweetness for flavor. After the tapioca pearls were prepared, I went ahead and made the Jasmine tea concentrate. You’ll want to make a tea concentrate versus just a single cup of tea so that the tea tastes strong enough after you add in the pearls, sweeteners, and milk or cream. 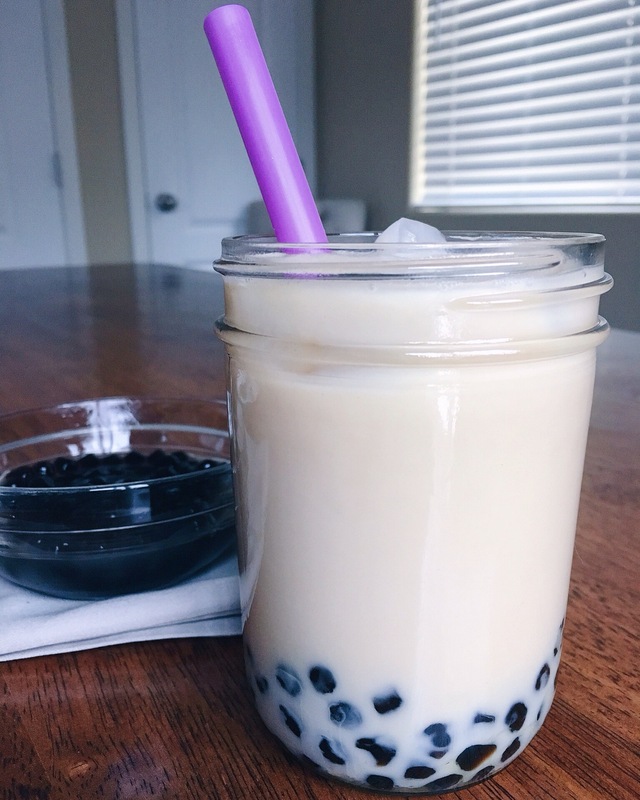 To make a glass of Jasmine Boba Milk Tea add as much tapioca pearls to the glass as you’d like. Add a spoonful of sweetened condensed milk and another spoonful of honey and top that with the tea concentrate and milk. Give this all a really good stir so everything is well blended. To enjoy the pearls as you sip away be sure to use a wide enough straw to slurp them up. I ordered these straws off of Amazon and they’re the perfect size and came in a bunch of fun colors! The end result of the Jasmine Boba Milk Tea was exactly what I was hoping for! This recipe is creamy from the sweetened condensed milk and milk, with floral hints from the Jasmine and honey, and a slight bitterness from the tea creating the perfect balance. I don’t like my drinks too sweet, but this was perfectly sweet to me, so feel free to add as much honey and sweetened condensed milk as you desire. I can’t wait to test out the many other flavors I have on my mind and share the recipes. I hope you enjoyed this post and if you try this recipe and like it be sure to leave a comment and let me know what you think!! Prepare the tapioca pearls according to the package instructions and set aside in an airtight container. These will be fresh for use up to 24 hours. 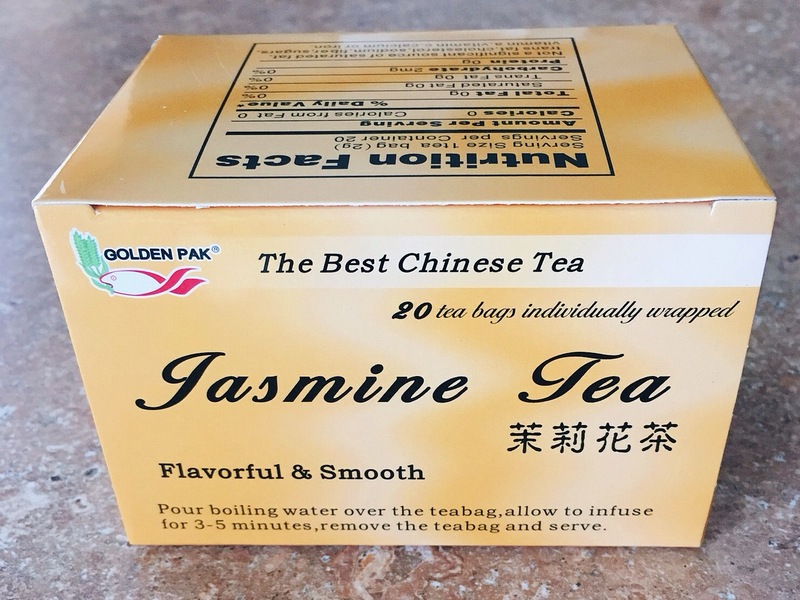 Tea concentrate: Boil 3 cups water, remove from heat and steep jasmine green tea bags for 5 minutes. Discard tea bags once fully brewed, store in an airtight container, and refrigerate until you’re ready to use. To enjoy a glass of Jasmine Boba Milk Tea, spoon desired amount of cooked tapioca pearls into the bottom of your glass. 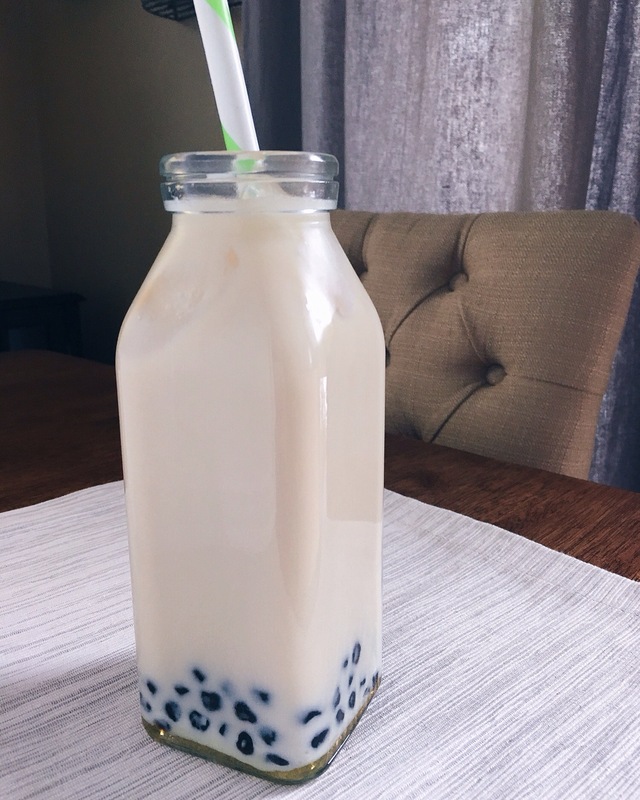 For a 12 ounce glass top with a spoonful of sweetened condensed milk and a spoonful of honey, then fill glass 2/3 full with Jasmine tea concentrate, and fill glass the rest of the way with milk or half and half, leaving room for ice. Give it a good stir. Taste and adjust to desired sweetness according to glass size and preference. Add ice, and a wide straw. 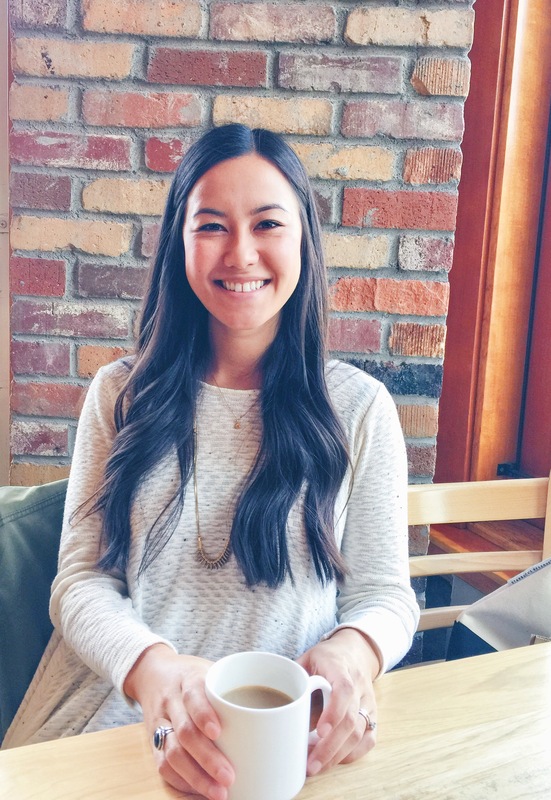 The measurements above will yield in enough tapioca pearls and tea concentrate for 2-3 drinks, while the sweeteners and milk will vary depending on drink size. 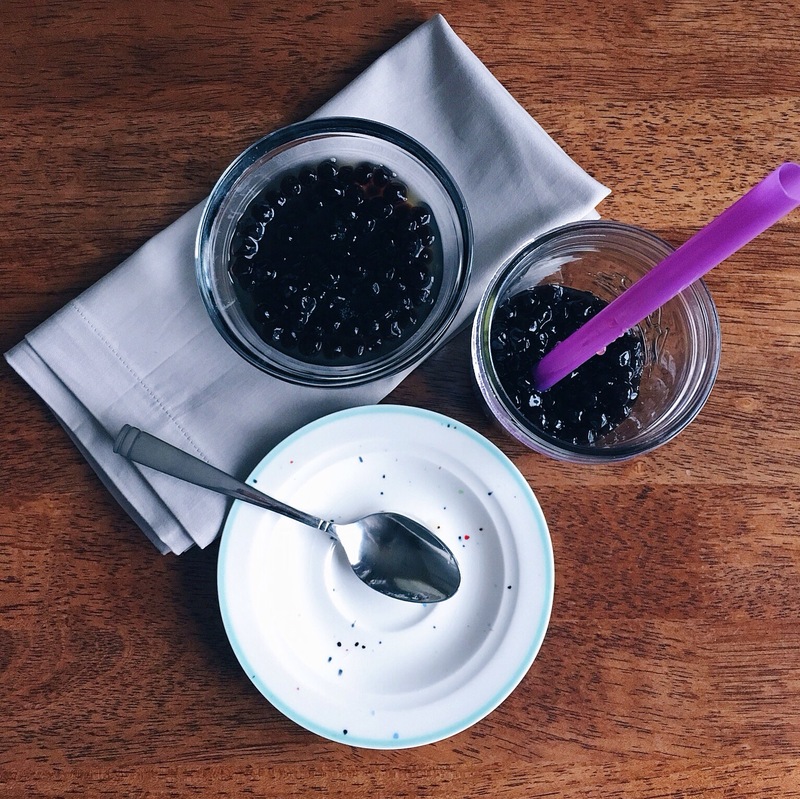 Boba tapioca pearls are best served within about 8 hours of cooking. 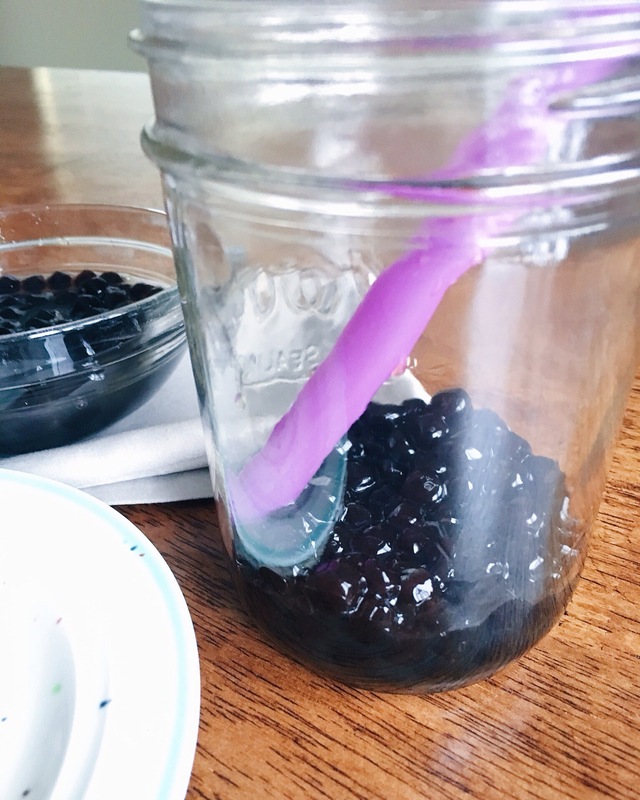 If you’re making a drink and the tapioca pearls have been refrigerated I recommend microwaving your desired amount for about 30 seconds, stirring half way through. If not they will be hard in the centers. Carrie! You glorious wonderful beauty! We live in Raleigh, NC and there are NO tea shops like back home in Fresno. People here have no clue what boba is. I so so miss that creamy chewy deliciousness from Teazers or Little Leaf. Nothing is quite like it. I can’t wait to make this. Finding an Asian grocery store is now on my list of to-do’s today to find those perfect pearls! Just made my day.